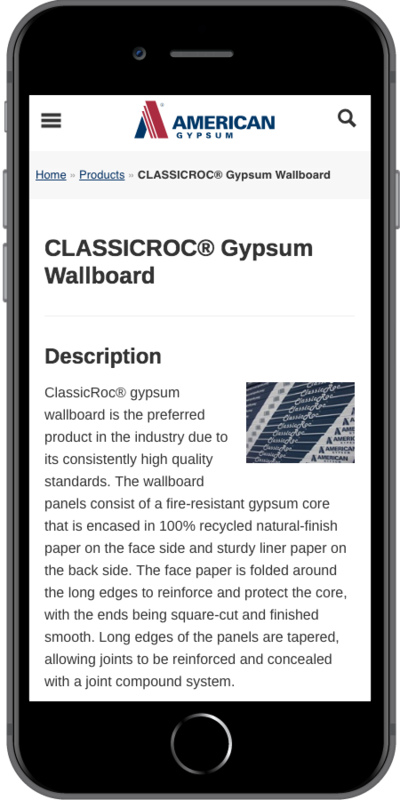 This major manufacturer and distributor of gypsum wallboard products was seeking to replatform their corporate web site. 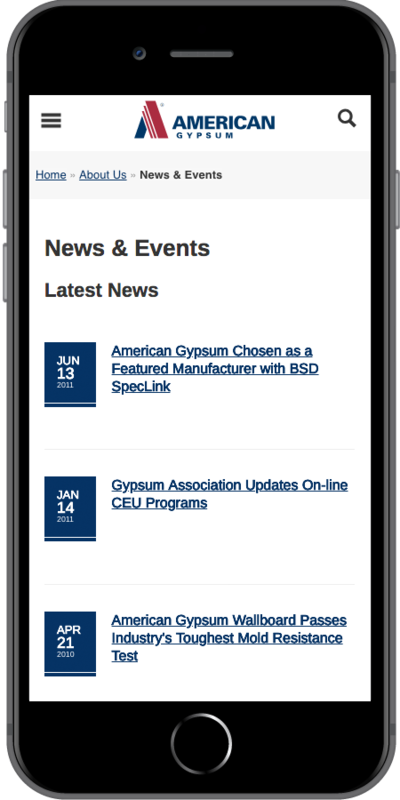 The new website needed to represent the current marketing standards and informational requirements of an industry leader, while improving mobile accessibility and content management capabilities. 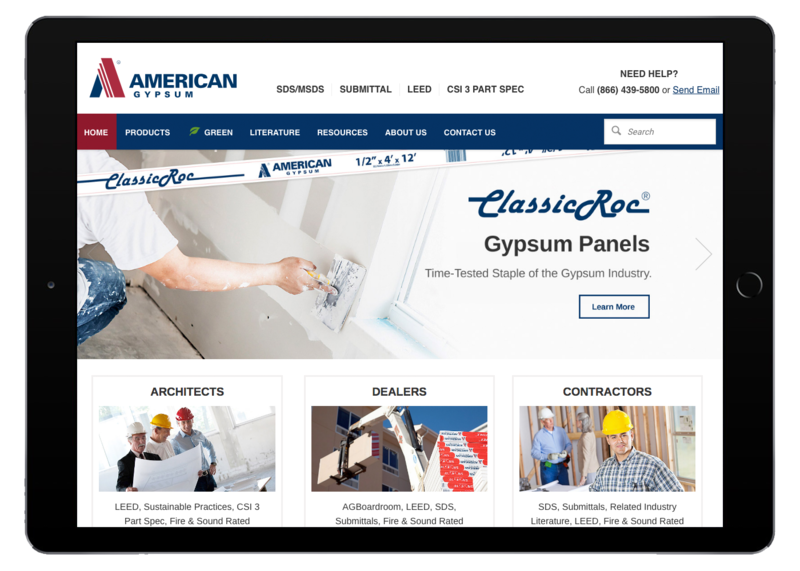 Starkmedia designed a site to compliment American Gypsum’s branding and collateral, while updating design to a current and responsive look and feel. The project included replatforming to the user-friendly Drupal Content Management System to improve content organization and management. 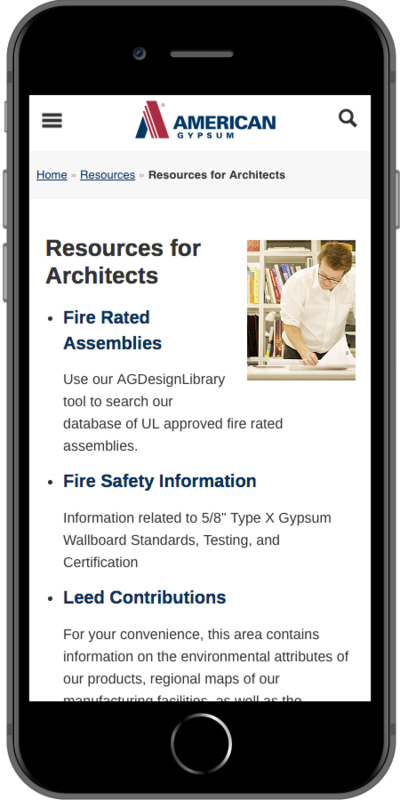 The site boasts a complete product catalog with important specifications and safety manuals, along with well-integrated informative resource content throughout. Available job opportunities can also be searched by location or department. 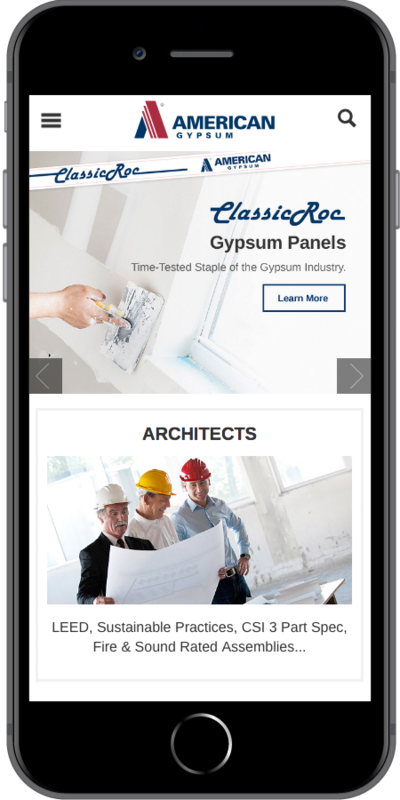 These features come together to create a strong image for the corporation, while supplying the vital information demanded by the construction industry.